At Mid-Valley Community Clinic, we are fully committed to providing all of our patients with the best possible healthcare. As part of our commitment, we invest in the best staff, state-of-the-art premises, and the most technologically advanced medical equipment, including our 4D Ultrasound machine. Ultrasound scans are often associated with pregnancy care; however, this is very far from the truth. An ultrasound scan can be used to diagnose a wide range of medical issues, as well as being able to give a clear picture of an unborn child. At its core, an ultrasound scan uses sound waves to create pictures of specific parts of the body. These pictures can then be used by medical practitioners to determine whether there is a problem and what is the best way to treat it. In the past, basic scans have been completed using 2D technology. These types of scans provide a flat black and white picture of the area being scanned. They do not provide any concept of depth. 3D scans, as the name suggests, provide a three-dimensional image of the area being scanned. Depth is added, and the pictures give a clear indication of an organ or body part in relation to those surrounding it. During later pregnancy, 3D scans provide much clearer images of the developing child. What is unique about 4D Ultrasound scans? 4D ultrasound scans are unique because they provide real-time, moving images of the area being scanned, which allows our medical team at Mid-Valley to provide faster, accurate diagnoses without invasive procedures. This technology allows doctors to gain a better understanding of the effects of diseases such as Crohn’s disease as the movement of the bowel can be seen. Tumors can be more precisely seen and evaluated as can problems in joints and bones. 4D ultrasound can also be used during a range of surgeries to guide the surgeon. This means that a keyhole surgery technique which minimizes the recovery time for the surgical entry points can be utilized. For expectant mothers and their partners, 4D ultrasounds provide an opportunity to see the unborn child in enhanced detail. They are also able to see the child move and pick out specific features clearly. In terms of pregnancy care, having access to a 4D ultrasound increases the number of birth defects and genetic illnesses that can be diagnosed prior to birth. Early diagnosis increases the survival rates for children with early medical problems. It also gives the parents additional time to come to terms with the extra needs their child may have. 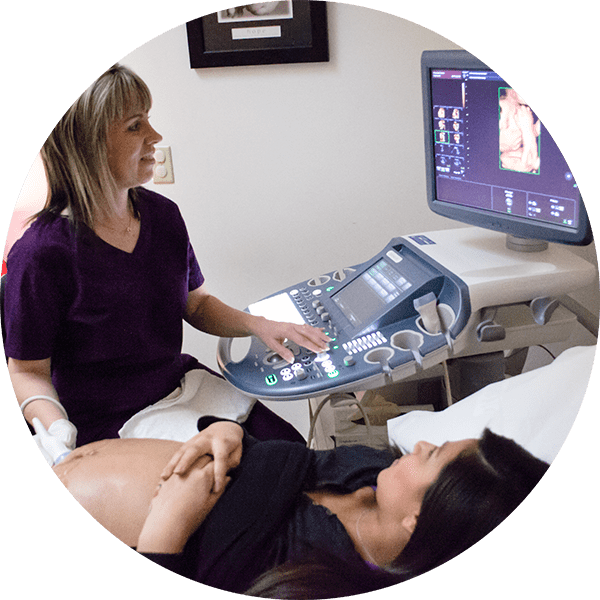 If you have any questions about 4D ultrasounds, or believe it could be of benefit to you, call us today and speak to one of the Mid-Valley team.